Utility Park & Zoo, Clay Center, Ks. The Zoo and Park is being expanded to the west of the park with the addition of a very nice walking trail. The Zoo has been a source of pleasure for local residents as well as for visitors to Clay Center. You can go through the park anytime and see local as well as out of town visitors enjoying the Zoo, children playing or families having a picnic. Your donation will qualify as a tax deductible donation. 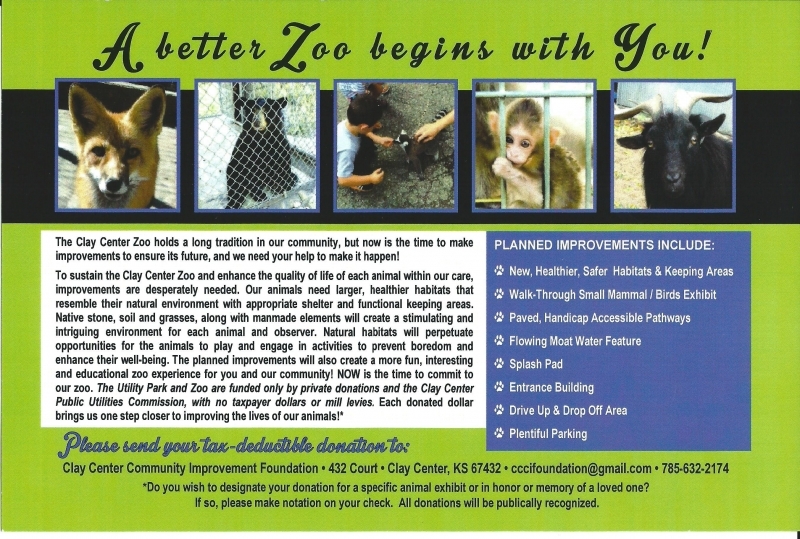 Be sure to indicate on your check that your donation is for the Zoo. 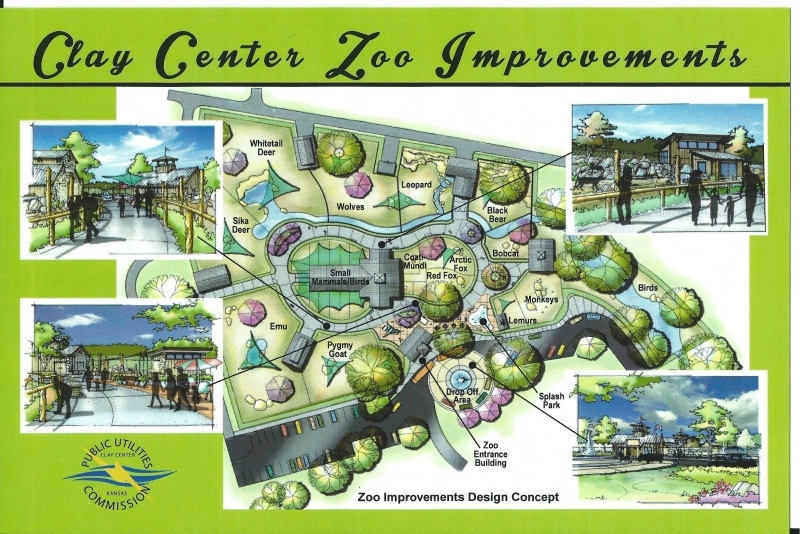 The donations will be forwarded from the Foundation to the Public Utility Commission and will be used to help the Zoo. Clay Center residents can make a monthly donation by adding the amount to their monthly electric/water bill.